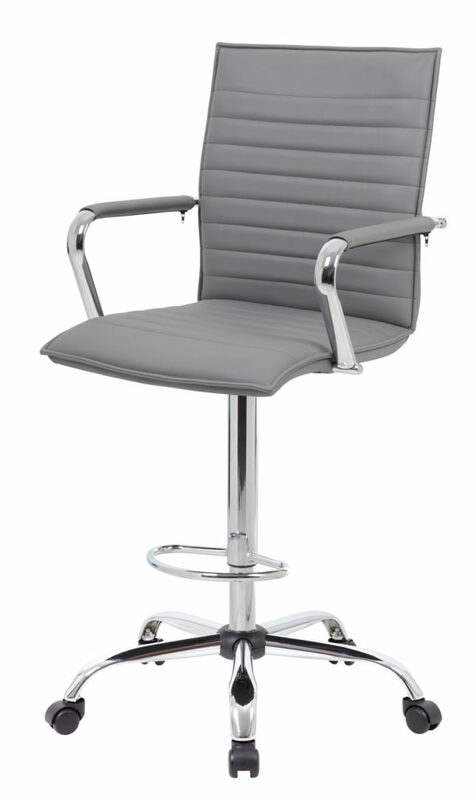 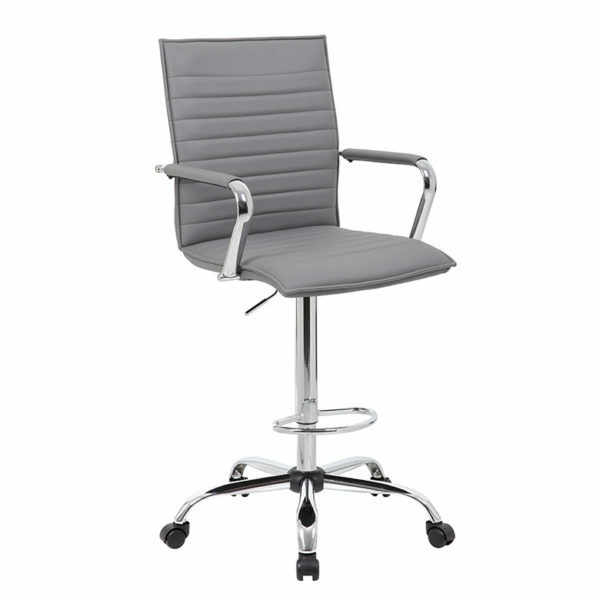 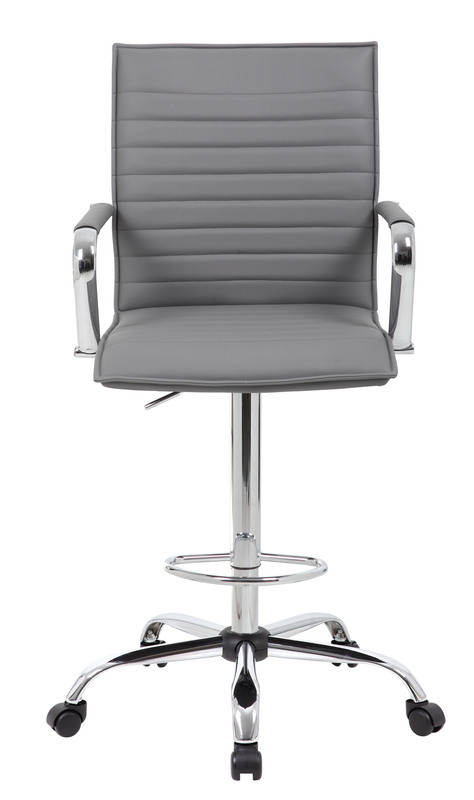 The ribbed design drafting stool comes in a lavish gray vinyl material and is a comfortable seating option for most any office or studio. 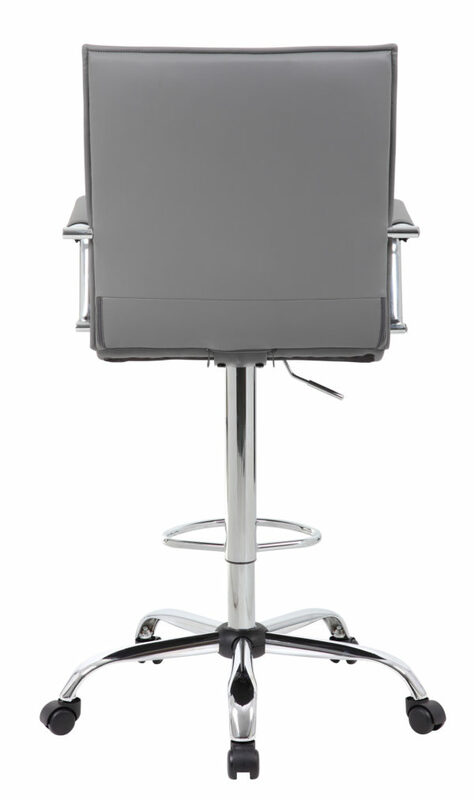 The drafting stool provides a pneumatic gas lift mechanism for adjustable height options, making this great for most any desk or drafting table. 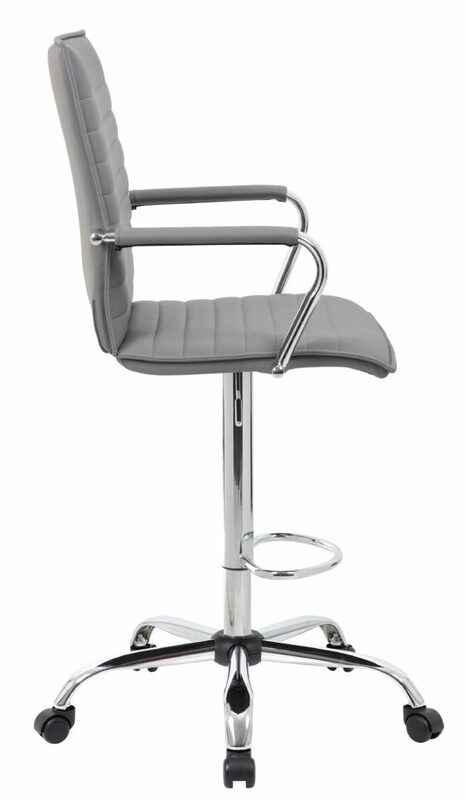 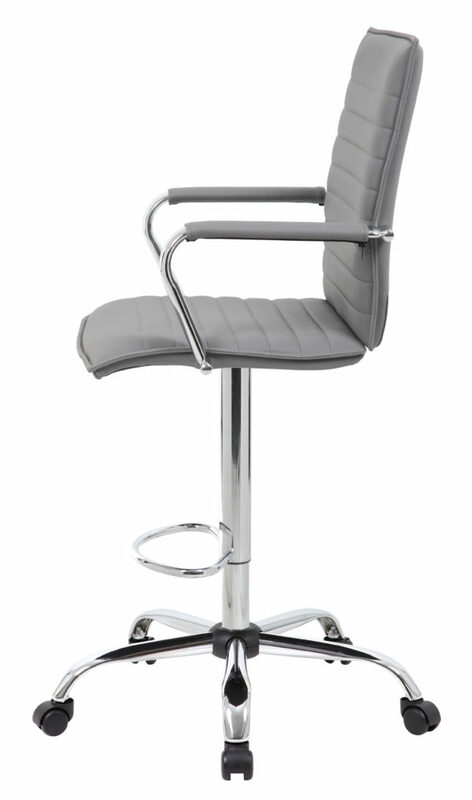 The stool also features a sturdy and fancy 27 inch chrome base with 2 inch nylon dual wheel castors for a smooth roll and has a weight limit of 275 lbs.